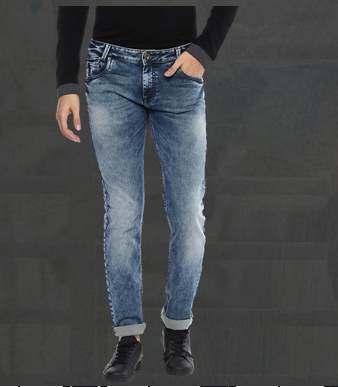 If you are looking for a cool and trendy pair of bottoms, then these dark blue jeans from Mufti is exactly what you are searching for. Decked with stone washed pattern, this pair will never fail you in terms of style and comfort. Featuring a button closure, zip fly, the traditional five-pocket design and brand logo tag at the back waistline, these jeans are a favorite of all the fashion lovers. Pair it with a shirt and sneakers to complete the look.